Customised promotional USB flash drives are one of the most prized promotional items by recipients, and within many environments they are almost as commonplace as a pen. They are small, easily transported, cheap to post, incredibly useful and have a high perceived value. Promotional USB’s will be kept for a long time and used time and time again. This means that your logo appears in front of the recipient and anyone who is with them, time and time again. With such a vast range of promotional memory sticks available in our range, you will be sure to find something to match your criteria and budget. Everything from a traditional twister drive to a bespoke design, from a credit card sized USB stick, which can be printed in full colour on both sides and provides a large surface area for displaying your logo, to one that is made of wood and laser engraved, all available in the full range of memory sizes from 1GB to 64GB. The USB sticks will be customised with your chosen design either by laser engraving, screen/pad printing or digital printing. Click here for further details regarding all of these printing methods and more. If your marketing department uses specific pantone colours for your corporate logo then we can also produce many USBs in colours to match. In addition to the USB sticks themselves, we can supply lanyards (or neck straps) which of course can also be branded with your logo or company name, and other fittings as required. We can upload files directly onto the memory sticks for you, known as Pre-loading and can even include an Auto-run function which means that a particular presentation or file will automatically load as soon as the USB stick is inserted into the laptop or computer. In addition to this, the USB stick can be named so that when it is inserted into the device it appears as a name rather than just a drive letter. This is known as Volume Labelling. For the environmentally conscious, there are Eco versions of many of the USB sticks available, made from wood or recycled and/or recyclable plastic. The USB sticks can be packaged in individual bags, cardboard boxes, plastic blister packs or even in individual presentation boxes, all to suit your requirements. So if you need to send an important document or presentation to a prospective client, why not give them the document as a PDF on a promotional USB flash drive with your logo on it? This is sure to be given a more prized position on the recipient’s desk than yet another wad of paper. 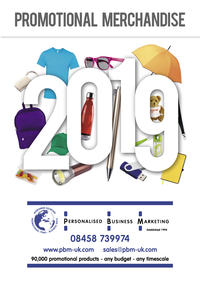 If you’re an educational provider, rather than giving a prospective student a glossy colour printed brochure, why not give them an electronic prospectus on a USB stick which they can then use again and again when they enrol on a course? The promotional USB stick will continue displaying your logo long after the paper version of the prospectus has landed in the recycling bin. Training providers can give out USB sticks pre-loaded with seminar or lecture notes, giving the attendee a useful reminder of what they have learned, and just as importantly for the provider, a reminder of where they learned it. Not only does this product promote the training provider, the cost of the perceived free gift can be included in the course fee. Contact us today to discuss your requirements or click on the pictures above to see the most popular promotional USB memory sticks we supply.